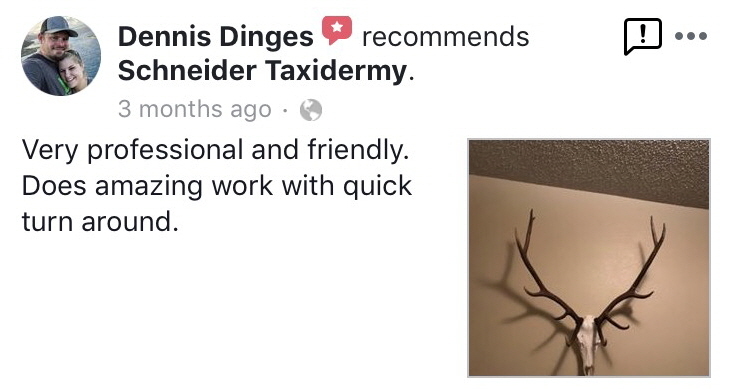 Schneider Taxidermy is committed to providing the best in customer service. 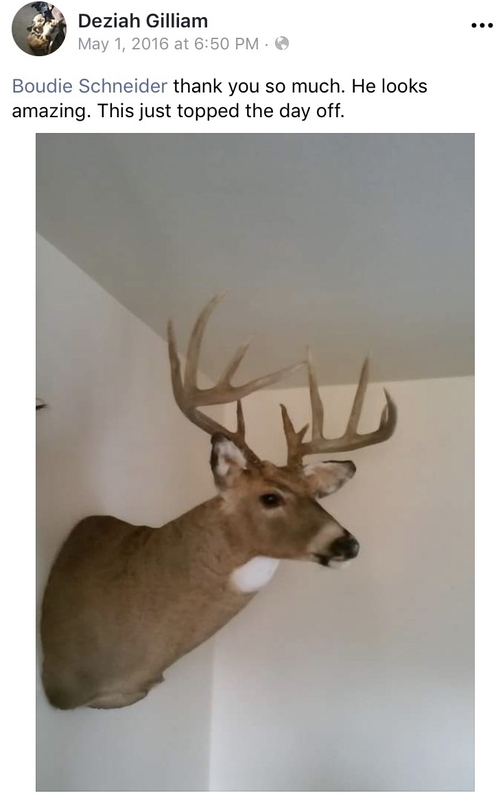 We offer professional and friendly assistance to our customers for whatever they may need. That is why we are proud of our continued success in satisfying one customer after another. Don't just take our word f or it - be sure to read through our customer testimonials, and you'll see why we are the best in the business!